Rp 57,500/- including the eye test. My driver left me at the entrance of the POLDA building. No more stamps on the hand. Just showed my passport and breezed in to the line for the eye test. Remember to carry exact change. No large notes! Paid Rp 5000 and received the eye test number. Was the only woman in the queue which was strange considering the number of woman drivers on the road. The eye test was perfunctionary. Some of the examinees could not even read the eye chart but were cleared none the less. Approximately 5 per minute so it was really quick. The receipt of the eye test enabled one to get the SIM for for Rp 52, 500/ – . The form has become simpler can be easily filled. Walk through the turnstile with a ‘SIM request visitor card’ – “Pemohon SIM” to the foreigners counters no 19. It is necessary to have a photocopy of the first inside page of your passport and the KITAS stamp which has the same number as on your KIMS card. Submit this photocopy with original KIMS card to the counter person. He will probably take 15 minutes to go through every page of your passport and on finding all documentation complete ask for a processing fee. This fee is not part of the official setup. I told the counterperson so and he processed my application it with a frown but did not ask for money again. This time could just walk with the form number and KIMS to the photograph room and had the usual process of photograph and thumbprint taken. Took all of 5 minutes. Proceeded to room 31. it was very organized this time. No jostling crowd. All the people were sitting in the waiting room furnished with chairs, TV and free, refrigerated, bottled water. A disembodied PA system called 10 names of people who queued in front of the collection counter 31 to collect their new SIM cards. Then my name was called and I stood in line with 10 other people. 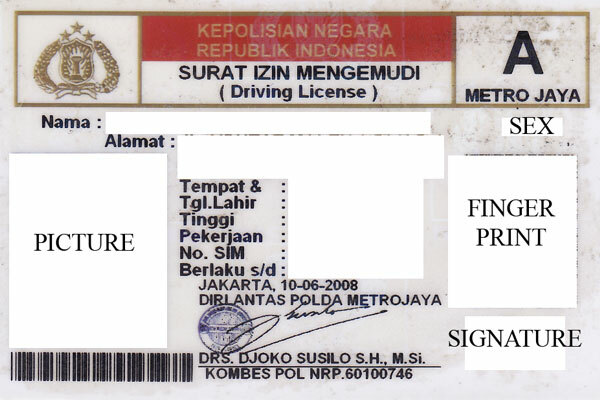 The people in front of me were paying Rp 10,000/- to get their cards, however, there was no fee stated anywhere. I asked the person in front regarding this fee and he said, “You need to put some money in every hole (counter window) to get your work done.” Well, I did not pay that either and received my new renewed SIM card. Let’s see what happens next year.